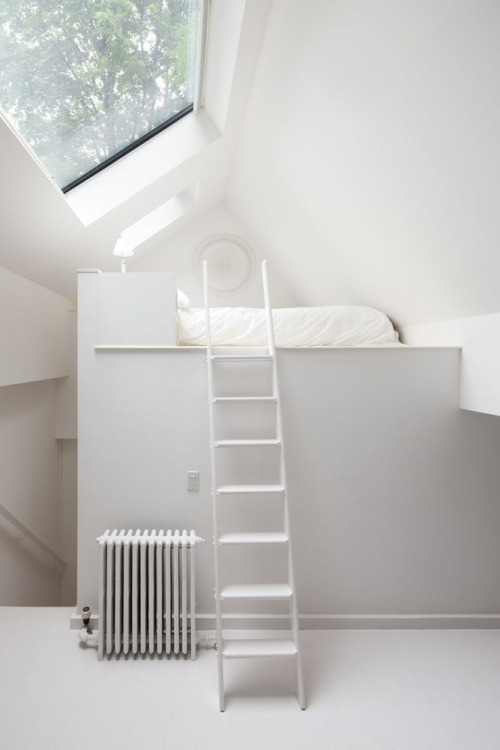 Details Per Space - Bedroom — Horoma. The master bedroom in a project is an interesting space with a lot of potential for simple storytelling. Simple adjustments can go a long way in setting up interesting mood and make your image stand out from bland visuals. Although the main activity in a bedroom, especially for a masterbedroom, is sleeping, other activities can take place in such a space. 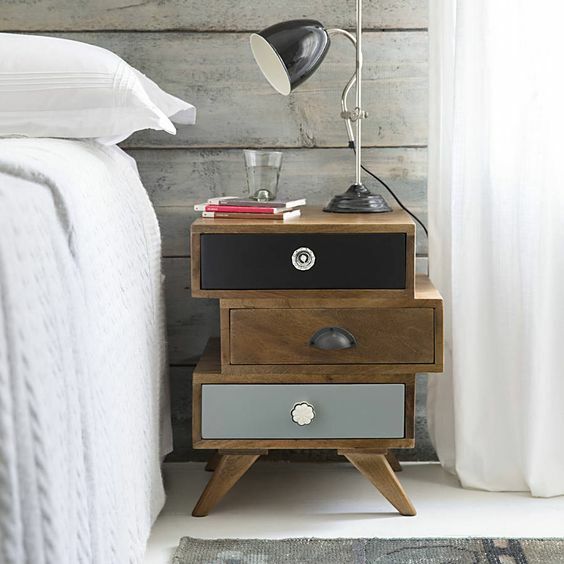 The main witness of activities taking place in a bedroom is usually the bedside table. Interestingly, we can extrapolate a lot regarding the people living in a space only from what you can find on their bedside table (or absence thereof), thus inspiring a feeling of comfort or discomfort, joy or sadness for the viewer. 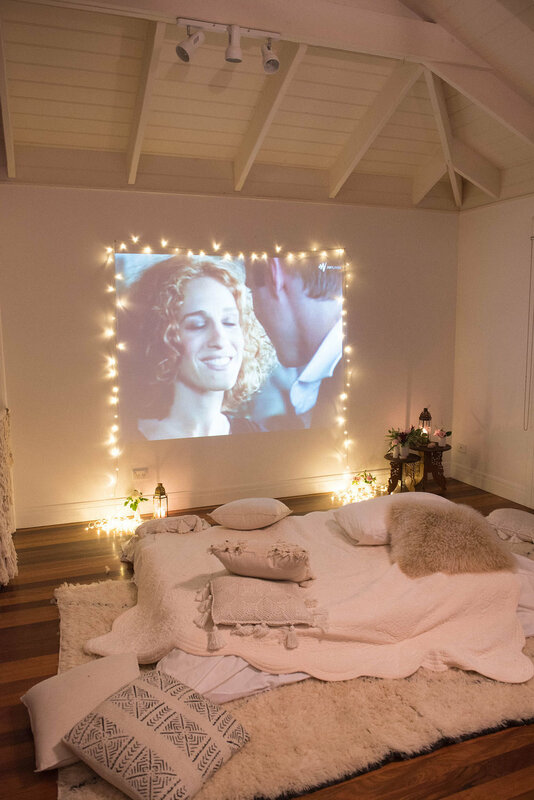 By looking at the image we should be able to know straight ahead if we're looking at a room for a couple or a single person for example. Reading glasses and books, or magazines. A brand new smartphone or an older phone. Old speakers or a pair of headphone. A glass of water or sleeping pills. Crosswords barely initiated or a knitting kit with half a scarf. You can also hint the time of the day. A sleep in on a sunday morning with a breakfast freshly prepared waiting on the bed sheet, or quiet evening with a glass of wine. The paramount idea is to show the bedroom as a place full of potential and as a convincing backdrop for everyday life activities and not just a place where you sleep. 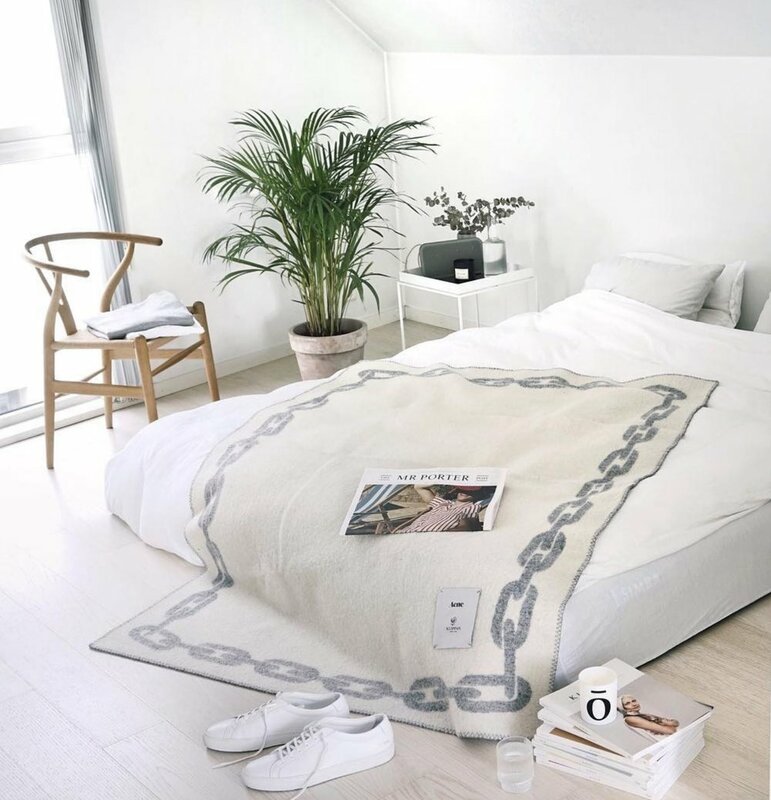 Cloth will of course be a huge part in a bedroom since everything is about the fabric of the sheet, and the feeling of calmness and comfort it can spark. Fabricwise, playing around with the texture and pattern (herringbone, check, gingham, stripe, etc.) of the main sheet can completely change the feeling of your image. A rough wool knitted plaid won't feel the same as a soft silk for example. 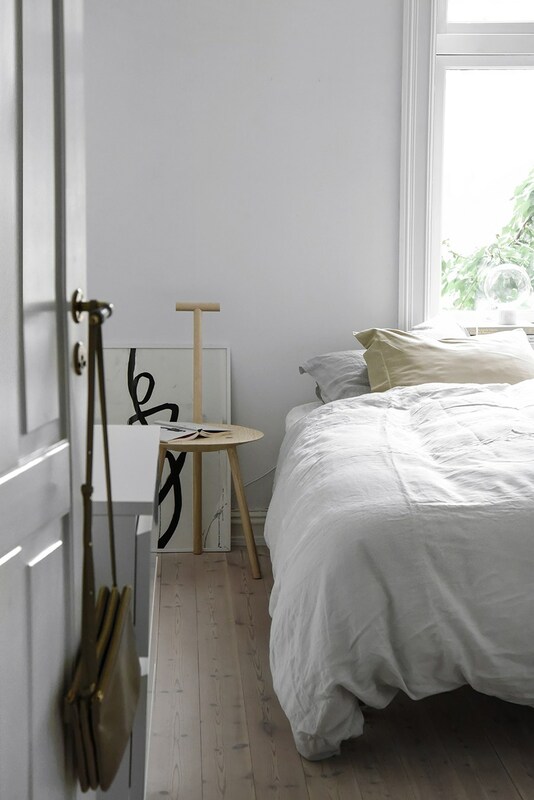 Colourwise, it might be the time to steer away from the endless so-called scandinavian all-white interior. Fashion comes and go. Go crazy and put some subtle colours in your image, flashy or pastel so that you can bring up some details in your image and adjust the composition. Last but not least, the perceived mood of your image rely a lot on the way the bedsheets are folded. 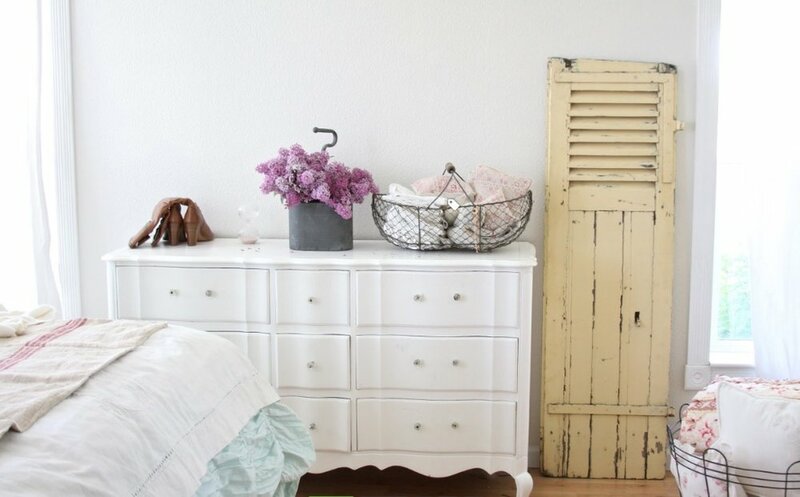 A perfectly made bed will look calm and soft and imply order since you will only have soft shadow fall off. On the contrary, a randomly folded plaid with many creased will catch the light in a completely different way, multiplying darker areas, creating contrast in your image, and giving a feeling of a more spontaneous and dynamic life (and disordered of course...). 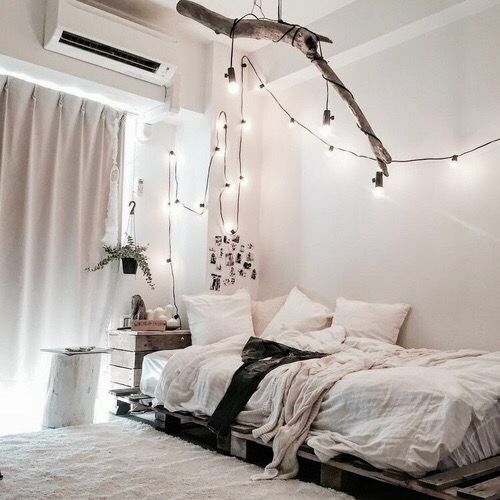 Depending on the layout of the space, fashion items can take quite a good part of a bedroom image. If you have a seperated walk-in closet, it can be interesting to just have some simple fashion item somewhere in your image to create some sort of eagerness or spontaneity in your image. A pair of heels near the bedside, a shirt lying on the bed, some thick knitwear hanging on a chair backrest. Compositionwise, it could even be interesting to give a glimpse of this walk-in closet. Whether we can directly see it in the image, or by the use of the reflection in a cleverly placed mirror, it is important that we understand that the bedroom does offer storage space somewhere. But if the closet is directly in the bedroom space, this is a completely different story since it can become quite a big part of the image. An enclosed closet could benefit from opening one of the door to get a glimpse at properly organized clothes. While a completely opened storage system will bring an interesting touch of messiness (or not if you only show a dozen of garment pieces). More interestingly, the type of clothes you'll show (although it will depend quite a bit of your modelling skills) will imply a lot on the kind of people you are designing the space for. Putting minimalist designers coat won't have the same effect as boasting cheap thrift shop coat for example. Design items in a bedroom typically range from tiny sculpture on a shelf or a window, to paintings and family photographs on the wall. Avoid cluttering the space with unnecessary decoration items, except if it is willingly done and mastered for a specific project approach. Use soft material that don't appear too cold preferably with rounded shape so that you get nice soft shadows and reflections. Again, always take time to tweak the readymade props you insert in your image so that they fit your scene well and don't look like they come out straight from a 3d catalogue. For example, if you use ready made frames, take at least the time to insert different photographs or paintings in them (preferably yours, so that you don't have any problems with copyrights). Even though a masterbedroom is less about customization than a kid bedroom would be, it should still be your main focus to make your image feels like there is actually someone living in this space, and that it's not just a simple showcase. Foliage is not as paramount in a bedroom as it could be in other spaces of your home. 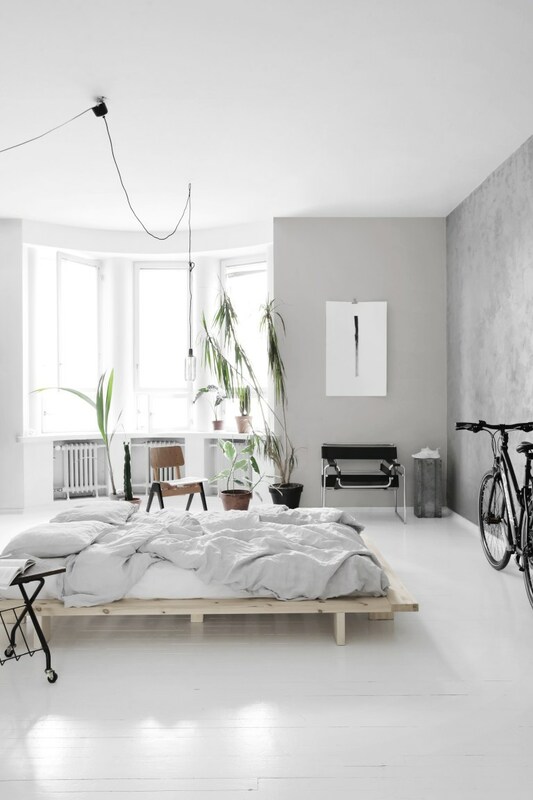 Although it can bring some interesing hue in your image if you're too monochromatic, the bedsheets and clothes will already do the heavylifting in bringing natural and smooth aspect in your image. Artificial lighting can create some interesting atmosphere in your image and contribute to interesting details even in a daylight rendering. 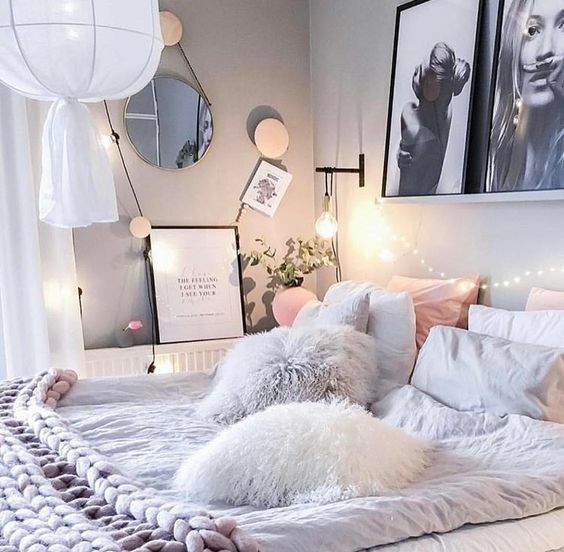 Whether it's candlelights, tinsels, or bedside lamp with contemporary design, this kind of details can add a bit of warmth in your image and reinforce the feeling of coziness you'd try to achieve for such space. One important note : even if you don't use actual artificial lighting in your image, it is important to model the actual light fixture so that we understand what kind of extra lighting we would see at night time. A master bedroom can sometime be a appropriate space to boast high-tech items such as TV (hidden or not), videoprojector (shortthrow or not) or a simple laptop. On a more down-to-earth point of view, you can also find your usual wires, electric sockets, switches, sprinklers and smoke detectors (especially if you're in a high-rise), or radiators for heating. 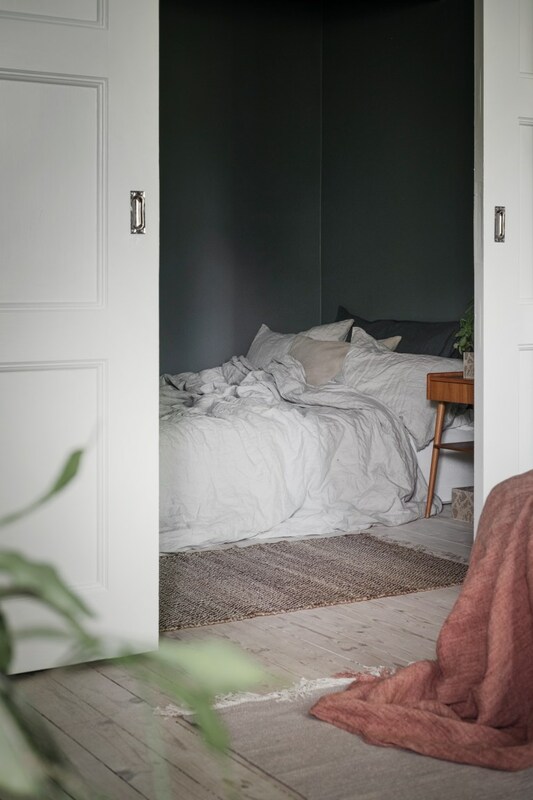 Depending on the layout of the whole house or flat, it can be interesting to get a bit of context and understand what's happening around the bedroom. 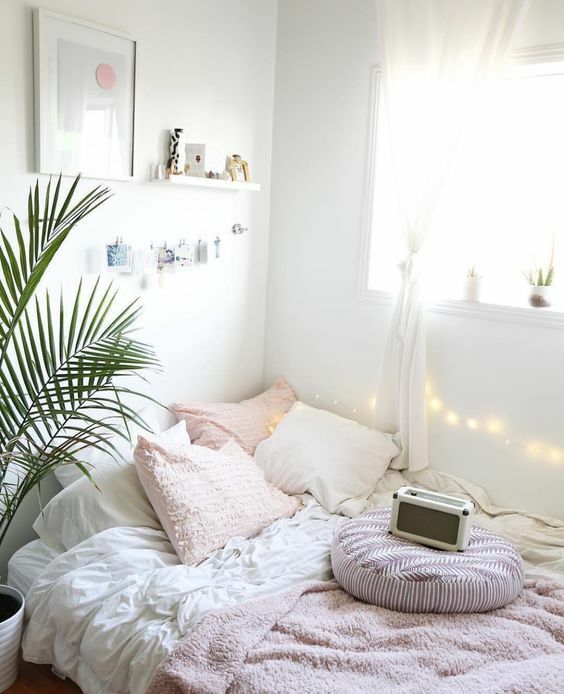 If the bedroom is quite small but directly connected to a larger space, it can be interesting to show it from the latter rather than try to fit your camera in a tiny space. If the bedroom boasts a really nice view, it will make sense to give a higher portion of your image to the scenery rather than the actual bedroom space. That's it for the bedroom. These 8 categories are of course non-exhaustive and I'm sure you'll find many others. The idea here, and in the rest of the series, is to show you a quite large range of the amount of hidden information you can imply by just using simple objects in your rendering. Don't hesitate to comment and give your own tips and hints you daily use in your images to create interesting storytelling!